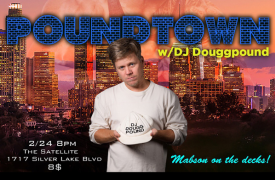 DJ Douggpound is the stage name of Doug Lussenhop. Douggpound is both a cast and crew member of The Tim and Eric Awesome Show, Great Job!, and serves as the opening act at Tim and Eric Tour shows. 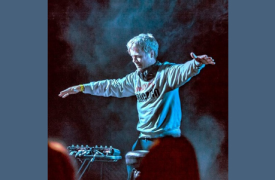 DJ Douggpound tells jokes that often lead into remixes of the jokes and ask for audience participation.